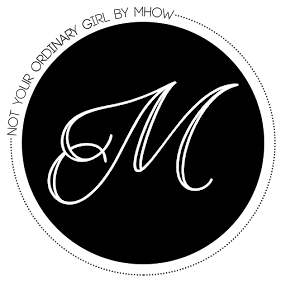 For the last 3 months of this year, I want to do something fun and new to me and looking through several activities, I finally chose what would be the best for me- to join a fun run. This was my first since I always tend to stay in front of the computer and do several tasks and I then realized that I am living a sedentary lifestyle. I also assumed that this lifestyle played a vital role why I haven't lose weight since I got birth. 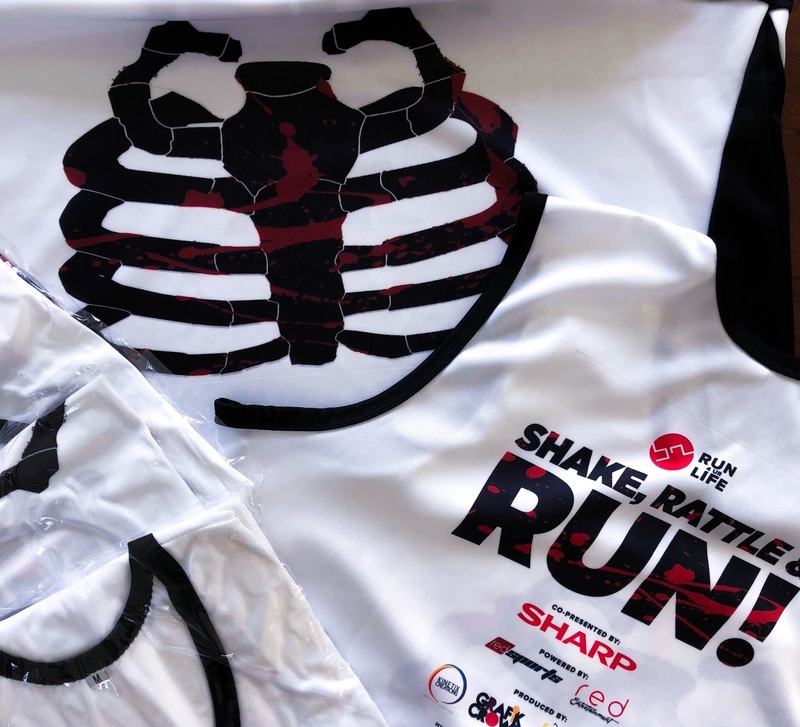 Well, it is called #Run4UrLife: Shake, Rattle and Run. 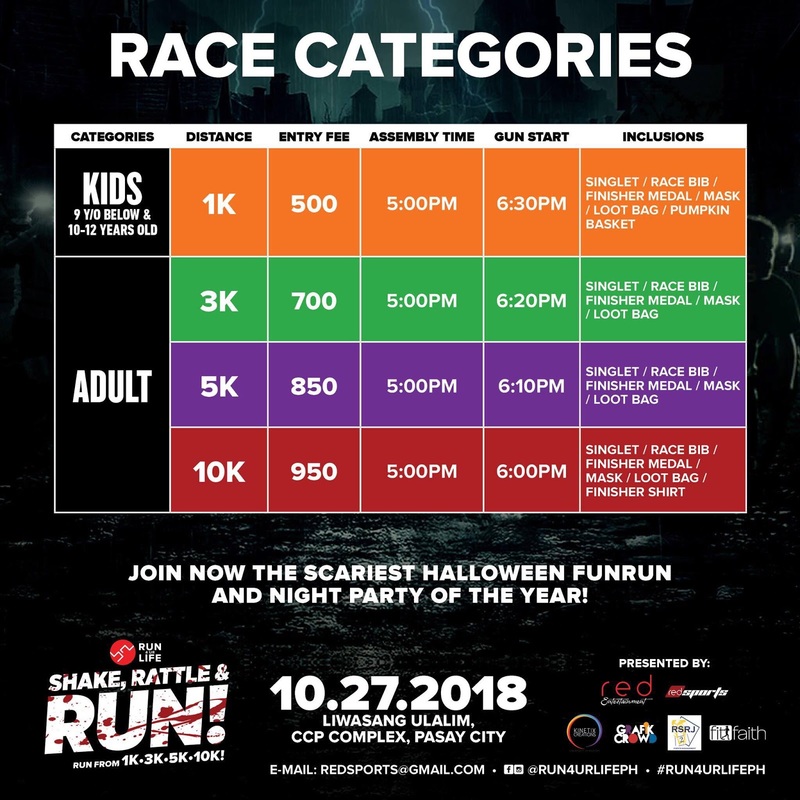 It is a different fun run because this is a Halloween-themed fun run and night party. Oh my god! I'm excited yet terrified. 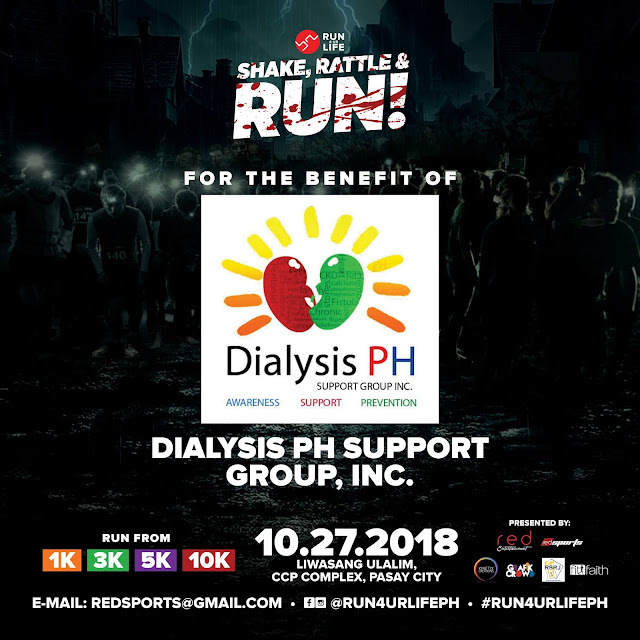 Why should I join this fun run? Well, there will be fun, horror as creative terrifying costumes will conquer the streets and every celebration. This would definitely trigger our emotions while we swear for a healthier lifestyle. Who wouldn't want to lose calories while having fun, right? Furthermore, Red Sports by Red Entertainment unveils that "Shake, Rattle and Run," is Metro Manila's biggest Halloween fun run and night dance party! Also, who wouldn't be excited for upcoming cash prizes and exciting gift packs for the winners of this action-packed event. The most important reason why you want to join this spectacular event is the part of the proceeds will go to Dialysis PH headed by Reynaldo Segarra Abacan Jr. 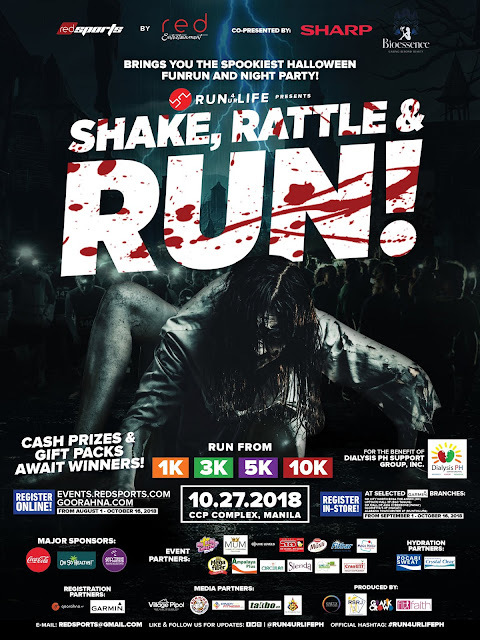 Event Partners: Musli Biscuits, Fitbar, Mogu Mogu, Ampalaya Plus, Circulan, My Daily Collagen, Make Up Madness Philippines, Live Levels, Sogo, CranUTI, Mega Fiber, On Optimum Nutrition, Slenda, Lung Care Plus. 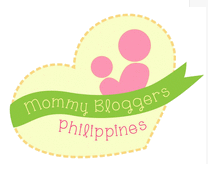 Media Partners: Village Pipol, The Philippine Events, Pinoy Fitness, Running Photographers and Takbo.ph and Chinese Journal. Are you excited now? I know, me too! Here are the final deets, this will happen on OCTOBER 27 at CCP COMPLEX. You can still register online through events.redsportsph.com and www.goorahna.com. See you all there and let's enjoy Halloween!